July 15, 2018 (Joseph Thomas - NEO) - Time Magazine's article titled, "Thailand’s Leader Promised to Restore Democracy. Instead He's Tightening His Grip," reflects Wall Street and Washington's growing displeasure with the current Thai government and its seemingly successful efforts to pivot the nation away from US-backed proxies including the ousted regime of Thaksin Shinawatra and his Pheu Thai political party (PTP), and toward a more multipolar footing in Asia and internationally. This includes stronger ties with not only Thailand's other Southeast Asia neighbours, but also with China and even Russia. China is now Thailand's largest trading partner, unseating the US. Thailand is also systematically replacing its ageing US military hardware with Chinese, Russian and European systems including Chinese tanks and submarines, Russian helicopters and European fighter jets. There are also large infrastructure deals signed between Bangkok and Beijing extending China's One Belt, One Road initiative through Thailand. Attempts by the US and its media to disrupt this pivot have been ongoing, with Time's article being only a more recent example. The Thai government, in good faith, provided Time Magazine writer Charlie Campbell an interview with Thai Prime Minister Prayut Chan-o-cha. Instead of objectively portraying the prime minister's words, Campbell predictably twisted them, intentionally took them out of context, all while interjecting misinformation and lies of omission throughout the article. The Thai Foreign Ministry denounced Time's article in a statement here, refuting many of Time's many mischaracterisations and outright lies. Time's article covers the military coup in 2014 and its aftermath, but suspiciously omits any of the events that actually led up to the coup. For more than a decade, Thailand has been wracked with color-coded street protests between the typically rural supporters of Yingluck and her brother Thaksin–who served as Prime Minister from 2001 to 2006–and their mainly urban opponents, backed by the powerful royal palace, military and judiciary. The pro-Yingluck faction wear red. Their opponents wear yellow. However, this is patently untrue. In Thailand's 2011 elections, Thaksin Shinawatra's PTP won support from a mere 35% of all eligible voters. Of those that voted, PTP failed to win a popular majority. PTP's opponents include not only Bangkok, but also Thailand's central and southern provinces which are unmistakably agricultural and rural. Thus Thailand's political crisis is owed not to some sort of class struggle, but to Shinawatra and his foreign sponsors attempting to reassert Western hegemony over both Thailand, and to a much greater extent, Asia, versus Thailand's attempts to maintain its long-standing sovereignty. Nothing leading up to the actual 2014 coup is mentioned in Time's article. Had it been mentioned, the coup would not only have seemed reasonable, but as unavoidably necessary. 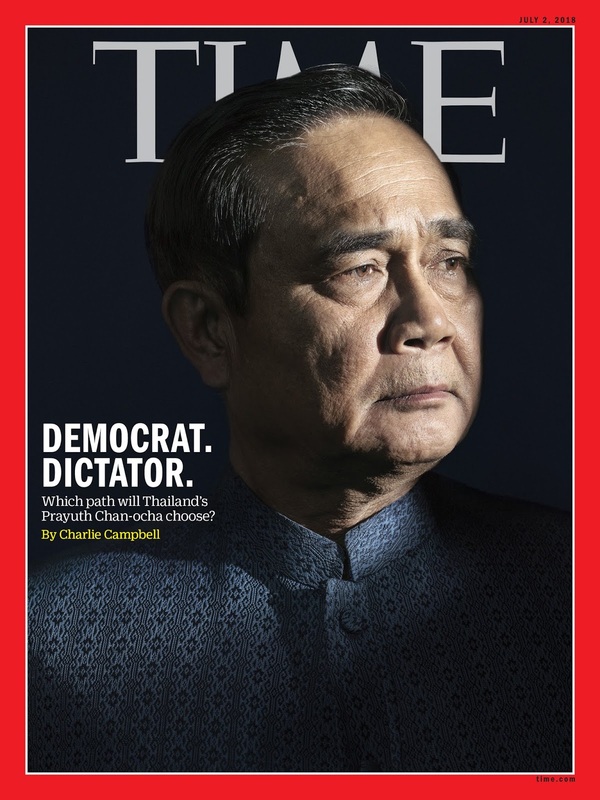 Should Time have also mentioned that current protests are merely Shinawatra and his foreign sponsors pressuring the current Thai government to rush elections while they both still believe they can win, the government's intolerance of these protests would also appear to be reasonable rather than "repressive." Thaksin Shinawatra is a convicted criminal and a fugitive. After accumulating the worst human rights record in modern Thai history and indulging in unprecedented, overt corruption, he was ousted from power in an earlier 2006 coup. In 2008 he was convicted of corruption and sentenced to 2 years in prison. He fled the country and has been a fugitive since. Despite being a fugitive, he still openly runs Thailand's largest opposition party, PTP. Yet, none of this is mentioned in Time Magazine's article. A slew of parties will contest the elections, but the race will chiefly pit Abhisit and his Democrat Party against the opposition Pheu Thai party, which is led remotely by wealthy businessman Thaksin Shinawatra. The elected prime minister who was ousted by the army in the 2006, Thaksin lives abroad, having fled after being convicted of corruption and given a two-year prison sentence he did not serve. Pheu Thai's campaign slogan is "Thaksin thinks, Pheu Thai acts," and party executives acknowledge that Thaksin is expected to name his sister, Yingluck Shinawatra, a businesswoman with no political experience, as the party's candidate for prime minister. Thus, a convicted criminal and fugitive led a party contesting Thailand's 2011 elections, and having won them, became the defacto prime minister of Thailand with his sister Yingluck Shinawatra merely a placeholder. Upon taking office, Shinawatra immediately sought to grant himself amnesty for his 2 year jail sentence and clear all other pending court cases. He also implemented his vote-buying rice subsidy scheme in which his sister's government would buy rice from farmers at above market prices and sell the rice on the international market. The programme immediately imploded. Farmers rushed to produce rice in quantity rather than quality to receive larger subsidies, forcing Thailand's traditional trade partners to buy rice from neighbouring rice producers producing cheaper, higher quality rice. Thai rice rotted unsold in government warehouses as the rice scheme fund dried up. Payments to farmers were first delayed, then stopped altogether. Nearly a million farmers went over 6 months without being paid, spurring some to suicide to escape mounting debts, while others joined growing anti-amnesty protests already ongoing between 2013-2014 to oust Shinawatra's proxy government. None of this is mentioned in Charlie Campbell's Time Magazine article. Also not mentioned was that as protests began to mount against Shinawatra, he employed militants to attack and kill protesters. Killings would go on until the day before the coup finally ousted the government from power. Over 20 would die. In one notorious video, Shinawatra's supporters can be seen openly celebrating the death of protesters killed by Shinawatra's militants. Thailand's military didn't overthrow a "democratic" government. It overthrew a proxy regime run by a fugitive hiding abroad, employing violence to eliminate his political opposition while he plundered and devastated the nation's economy. 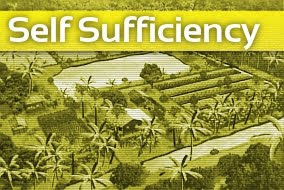 It would be the Thai military who finally restored order to the country and paid back desperate farmers. As Thailand now attempts to organise elections and return the country to civilian administration, Shinawatra and his backers are once again attempting to position themselves to contest and win at the polls, returning themselves to power and resetting Thailand's political crisis back to square one. They have threatened more violence and instability if they are prevented from doing so. But if the US would never tolerate a political party openly run by and for a violent fugitive, why does the US and its media insist that Thailand should? Shinawatra's ability to contest elections despite being a fugitive is owed to his immense wealth and impunity, as well as his substantial foreign backing. He enjoyed close ties to the Bush family before becoming prime minister of Thailand in 2001. He privatised Thailand's oil on behalf of Western corporations, attempted to push through a US-Thai free trade agreement without Thai parliamentary approval, lent Thai troops to the US invasion of Iraq in 2003 and allowed the US Central Intelligence Agency use Thai territory for its extraordinary rendition programme. Since his ouster in 2006, he has enjoyed lobbying services from the largest lobbying firms in the United States. His opposition in Thailand is funded and backed by the US government via the National Endowment for Democracy and George Soros' Open Society Foundation. This includes those leading recent protests alluded to but never fully explained in Time Magazine's article. For Washington, returning Shinawatra and his US-funded supporters to power would ensure a loyal proxy government in the heart of Southeast Asia, key to furthering US efforts to encircle and contain China. This is why Time and many others are publishing similar narratives attacking Thailand and demanding rushed elections. Had Time Magazine mentioned any of this backstory, the politically-motivated narrative Charlie Campbell hammered Thai Prime Minsiter Prayuth Chan-o-cha's interview into would have lacked all credibility. Only by leaving out virtually every aspect of Thailand's political crisis leading up to the 2014 coup, was Time Magazine able to portray Thailand's current government as unreasonably authoritarian, repressive and undemocratic. It is clear that the US is deeply invested in Thailand's political affairs, including sponsoring Shinawatra and his supporters since at least as early as 2001. It is clear US interests in Thailand revolve around Washington's desire to encircle and contain China. When we see just how dishonest, even malicious Time Magazine is when presenting this one single issue, we must realise how much more we are likely being misled about. It also highlights the necessity for individuals and even entire nations to invest in alternative media. If Thailand's government expected Charlie Campbell of Time Magazine to tell their side of the story, they were wrong. However, this is a problem with a very obvious solution. Time Magazine's industrialised deceit is a familiar trend across the American and European media and is in fact what has given rise to the so-called "alternative media." The alternative media includes not only independent writers and news organisations, but also state media organisations like Russia's RT and Sputnik, Iran's PressTV, South America's TeleSUR and China's CGTN (previously CCTV). For Thailand and other nations in a similar position, depending on the Western media to provide an honest account of Thai matters to Western audiences is a losing proposition. Thailand must either ally itself with regional alternative media organisations in Russia, China and now emerging slowly in Southeast Asia itself and/or create its own media organisations that truly reflect Thailand's own best interests. The problem Thailand has had with networks like Thai PBS, which is in fact funded by the Thai government, is that many of the journalists working there have been, not trained or educated in the West, but indoctrinated by the West. Journalists that truly reflect Thailand's best interests will be those who were educated in Thailand and direct benefactors of Thailand's success as a sovereign nation. This requires at least one programme to train Thai journalists loyal to Thai interests, and at least one media organisation representing Thailand's interests publishing and broadcasting in English for international audiences, if Thailand seeks to have its side of the story faithfully told. While government-influenced media organisations are not expected to be fully objective, they will at the very least introduce balance to the lopsided propaganda spread by Western publications like Time Magazine.